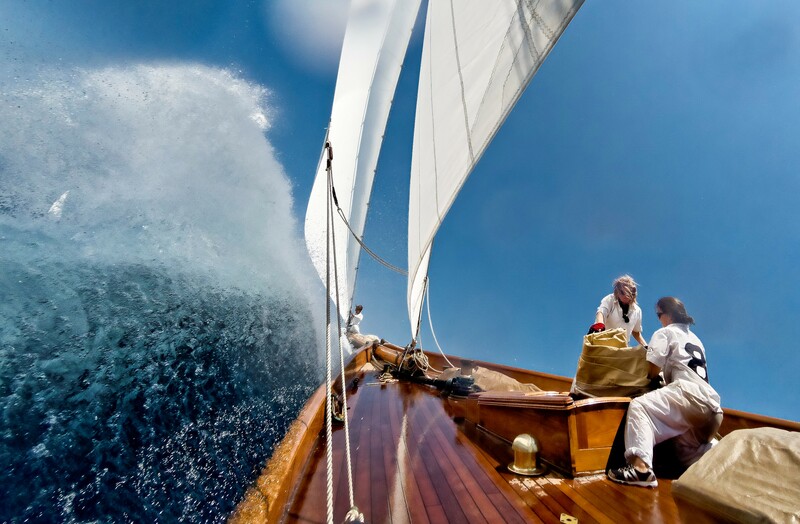 The XI Puig Vela Clàssica Barcelona regatta has once again turned the city into the Mediterranean capital of classic and vintage sailing. 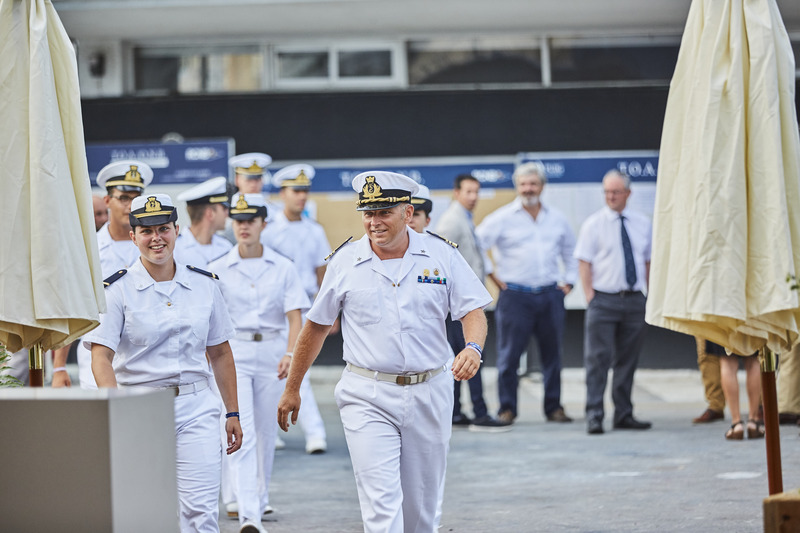 This new edition in the Barcelona waters included the participation of more than 500 sailors, from 7 different nationalities, starring in a thrilling spectacle of these jewels of the sea. The easterly winds stirred the emotions at the height of the event, although it only allowed two of the three scheduled races to take place. 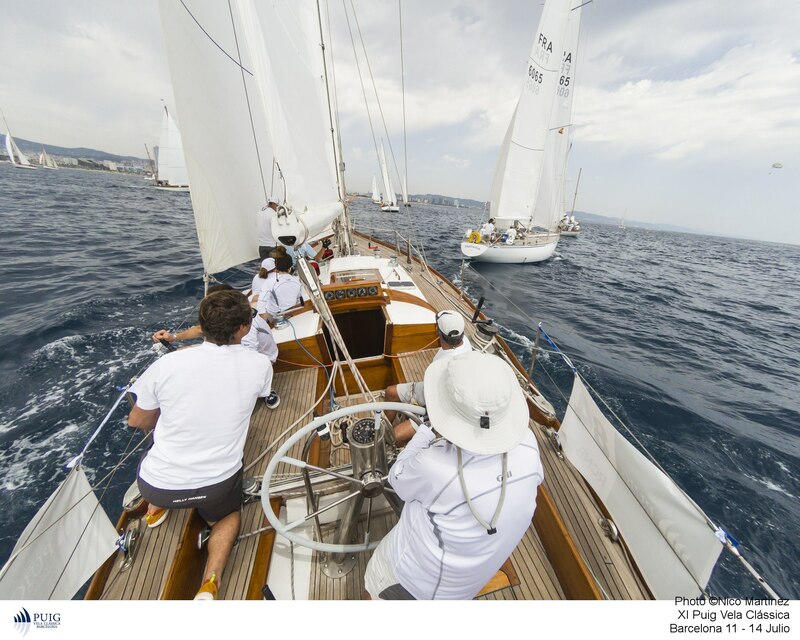 The previous edition of the Puig Vela Clàssica Barcelona regatta featured the light, warm, south-westerly winds that usually blow during this July regatta off the shores of Barcelona and that until now was always present during the most important classic boats event in Spanish waters. This made for very interesting and technical coastal sailing up to Masnou through the five sections between buoys facing the city’s coastline. Classic boats once again sailed just off the coast, a path that makes it a unique spectacle that thousands of fans and tourists were able to enjoy from the beaches of Barcelona and the Port Olímpic. Neither the great length nor the impressive rigs of Big Boats were the most notable aspects of their presence this year. Instead, they stood out thanks to the intensity of their duels. 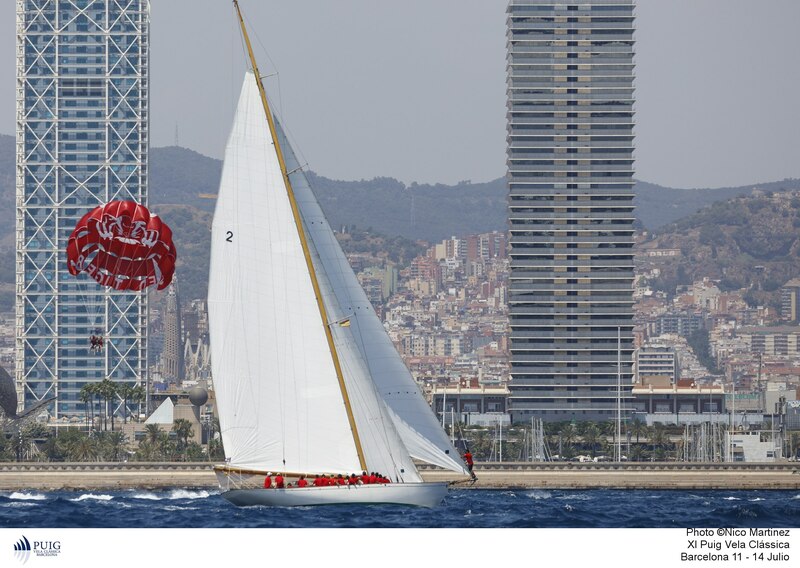 It is not common for boats of this size to offer spectacular duels, but the XI Puig Vela Clàssica Barcelona witnessed this magic on both of the days they sailed. Halloween, and the Irish multi-champion Mick Cotter, set the tactical pattern with three-way plays in front of the two Moonbeams. Outboard on starboard tack, forcing its right of way or approaching close to the buoy to put pressure to its rivals, made it clear that they were in “regatta mode” every minute and mile at sea. Its two partials, first and second, gave it the victory with 3 points accumulated and it registered its name for the first time in the list of winners. At its stern, the two Moonbeams tied with 5 points between them, once again sharing their beauty and fine work with the fans who followed the regattas from the beaches of Barcelona. The best partials (4th and 1st) of the Moonbeam IV owned by Mikael Creach, outperformed those of the Moonbeam III (2nd and 3rd) owned by Carsten Gerlach, breaking their tie. 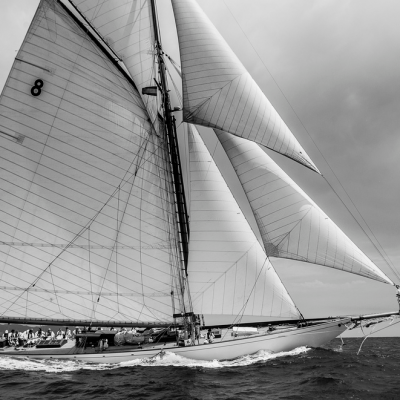 The Kelpie of Falmouth, which last year competed successfully in the gaff-rigged Vintage category, came in fourth position, while the Nordwind concluded its debut in the Puig Vela Clàssica regatta in fifth position. 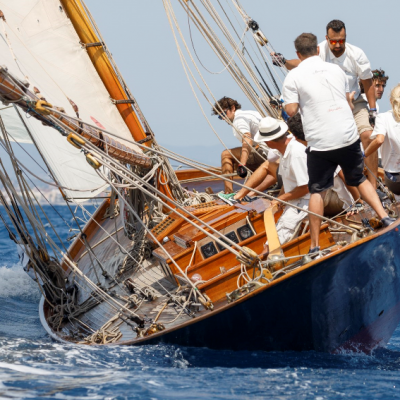 Although a few years ago the Puig Vela Clàssica Barcelona regatta organizers decided to split the Classic boats fleet into two groups, due to their different sizes, they all stir the same amazing emotions in each and every edition. The largest of the Big Boats, the Classics 1, had this year’s tightest ranking ever. The two tiny points between the top four ships shows their commitment to fighting for victory, which this year included a special treat. For the third consecutive time, the Guia took the highest honors, in what has undoubtedly been the best possible tribute of the crew to its owner Ramón Rosés, who died a few days before the regatta, but who prompted them to continue competing. In second position, with the same five points but a less stellar partial, was the Yanira owned by Andrés León, just ahead of the Italian Navy’s Corsaro II and Thierry Lafitte’s Sagittarius, tied at 6 points and classified in that order. 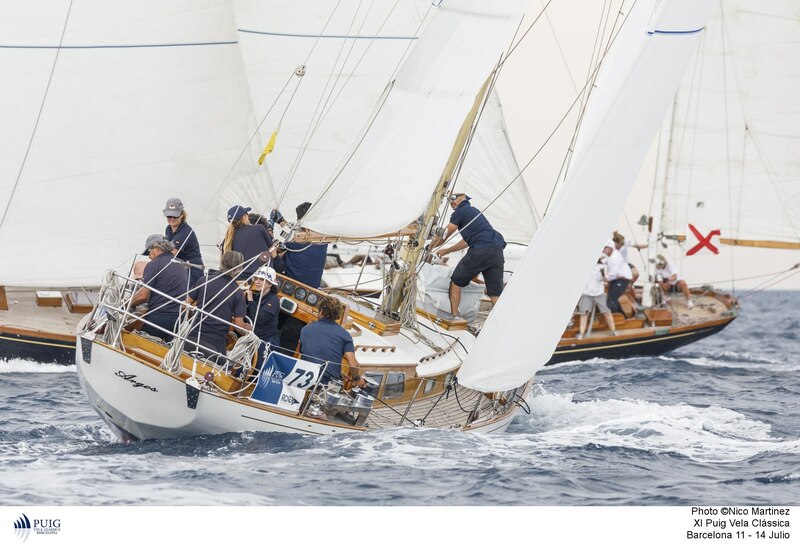 Although the victory of the Argos, from the New York Yacht Club, second in the history of the Puig Vela Clàssica Barcelona regatta, ​​in the Classics 2 category was unquestionable, after the two partial victories of the Barbara Trilling’s boat, the two other podium positions were very hard to get. Five, six and seven points respectively indicated the results registered for the Altamar of Javier Ramos, the Margarita Está Linda la Mar of Antón Llano and the Diana of Marcos Palomar. It should be noted that this fleet directly suffered the fall of the wind in the second race that led to several withdrawals, but not that of little Diana, which persevered for more than six hours to complete the regatta. 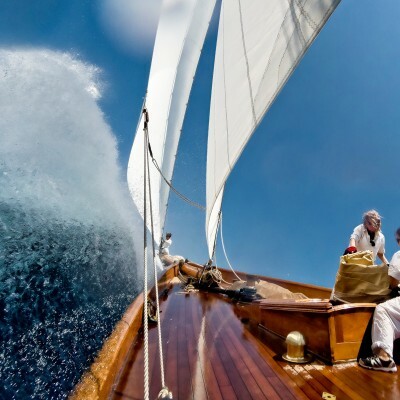 While Big Boats bring majesty when sailing and the Classics show uncertainty in their results, Vintage boats cannot hide the style of their remarkable designs, whether Gaff- or Marconi-rigged (often referred to as Bermudia-rigged). Tim Liesenhoff’s Marigan (built in 1898) clearly dominated the regatta and brought home a third win in the Gaff-rigged Vintage category, following its 2009 and 2010 victories. 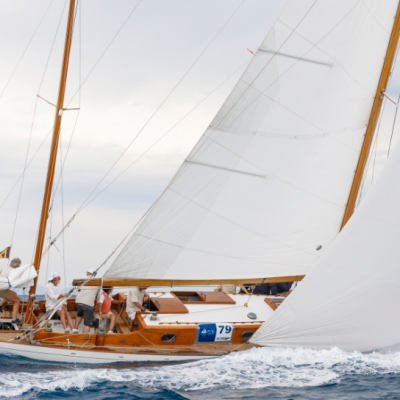 A Puig Vela Clàssica Barcelona regatta regular since the very beginning, Ricardo Rubio’s Gipsy climbed up to the second step on the winners’ podium, while Miguel Rigo’s Freda took third place. The Bermudians saw a fourth victory by Claudio Mealli’s Peter with the legendary Mauro Perlaschier as skipper. The benchmark of Italian sailing, after being the skipper of the 12-Meter Azzurra in the America’s Cup in 1983 and 1987, Perlaschier was delighted with the Barcelona event, exclaiming, “I love classic boats because they are part of our history.” While the Italian boat won both races, Jordi Cabau’s Mercury added two second partial positions and an identical final classification. After the Majorcan boat, the French Irina VII of Astrid Beteille made use of its best partials to defeat the Islander of Ricardo Albiñana and complete the podium in this category. The yacht designer Daria Cabai is the captain of the St. Christopher, a classic boat built in Holland in 1968. Along with her, three more women competed in the XI Puig Vela Clàssica regatta. Before arriving in Barcelona, ​​the team won first place in the Saint-Tropez classic boats regatta and second place in Antibes. In this edition, which celebrates her 50th birthday, they did not manage to rank among the top three positions in the Classics 1 category, but it is their firm goal for next year. The St. Christopher was designed with classic lines but to navigate in keeping with modern times. For example, the skeg helm was a relatively new feature at that time, and the deep V shape of its hull still gives it the beautiful sea keeping ability of a bygone era. Although from the beginning it was designed to compete in regattas, and for many years it belonged to the French team of the America’s Cup, it also served as a cruise ship. 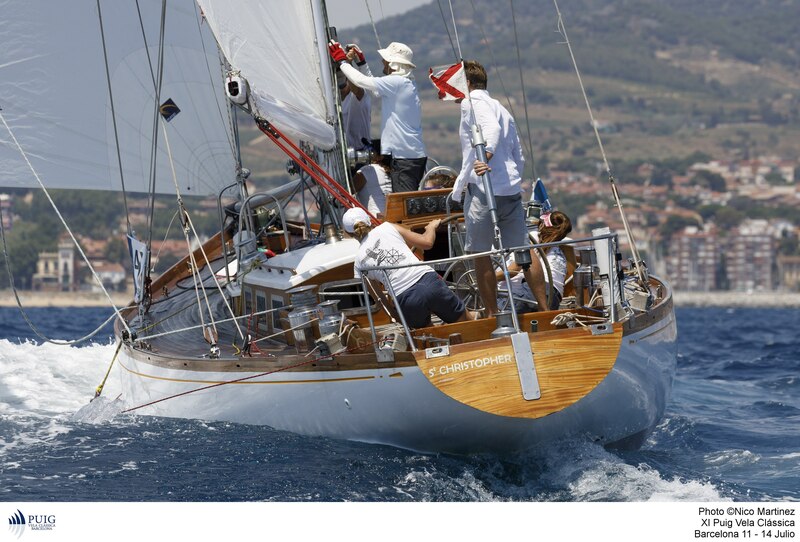 Last year was its debut in the Puig Vela Clàssica Barcelona regatta and this year it took third place! 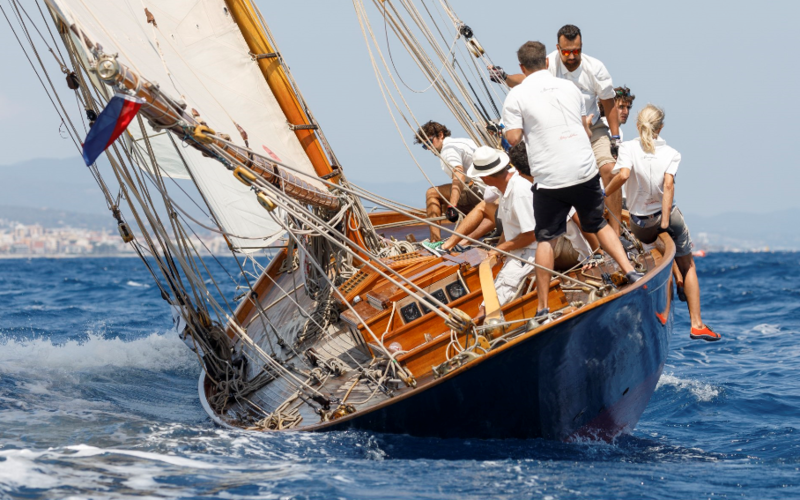 This classic boat, owned by the Italian Navy, was built in 1960 and currently competes in the most important nautical events in the Mediterranean. Captained by Simone Giusti, its entire crew comes from the Naval Academy of Livorno. In the words of Giusti, coming back to Barcelona means enjoying a competition among the best, in which the strength, perseverance and dedication are so important and are also a fundamental training for Marines.